For their latest endeavor, Pop Chart Lab ditched their usual obsessive detail for an appreciation of negative space in a series of minimalist odes to American cities. 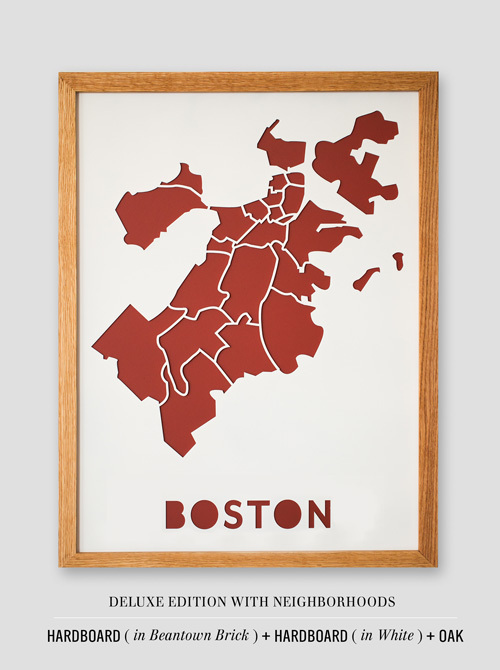 The outlines of Manhattan, Brooklyn, San Francisco, Boston, and Chicago are rendered —with or without neighborhood divisions—in a range of seven different color combinations each. 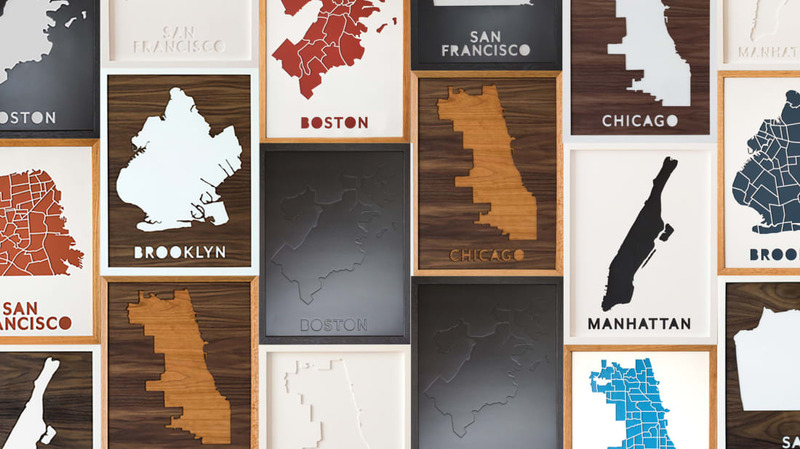 "We were actually prototyping a different product which involved lasering the shape of a city out of a piece of hardboard," the creative team said. "Then the head of our woodshop saw one of the hardboard negatives sitting around and decided to combine it with a backer board, and then painted and framed the whole thing. When we saw the result, we immediately switched gears and started focusing on making Drop Cuts for five cities." 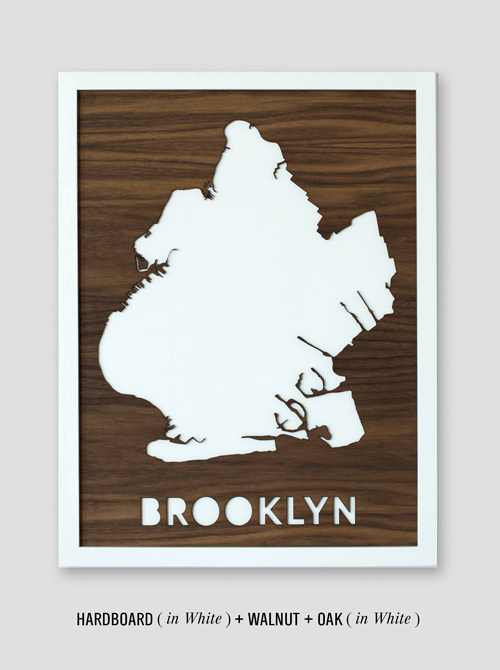 Each map is hand-crafted and hand-painted in the company's Brooklyn-based studio and comes with an oak frame. All photos courtesy of Pop Chart Lab.